273 lb-ft. Torque 273 lb-ft. 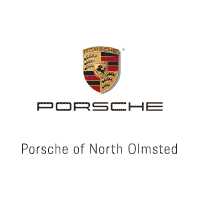 When it comes to imaginative design, style, and class, no automaker satisfies consumers the way Porsche does. The 2017 Porsche Macan is a fine example of a gorgeous compact luxury SUV. It is truly designed with the customer in mind. Additionally, the 2018 Porsche Macan has everything that the 2017 model does with the addition of many impressive features and upgrades. Either of these vehicles would be a great option if you are looking for a premium quality SUV. Comparing next to each other them in a few categories may help you decide which vehicle will best suit your needs as an individual. The 2017 Porsche Macan boasts quick acceleration rates in all trim styles, is athletic and engaging to drive, extremely comfortable, designed with high-quality materials. The 2018 Porsche Macan handles like a dream and surrounds its drivers in luxury and convenient comfort. It is sporty and aesthetically appealing and has a very long list of customizable options for consumers to choose from. This Macan will make you feel like you are driving a sports car while still providing the utility and excellence that you crave in a luxury SUV. The 2017 Porsche Macan is a compact luxury SUV that seats up to five passengers. Some of its available trim levels include the base, S, GTS, and Turbo packages. Even the base models come standard with a turbocharged four-cylinder engine. The 2018 Porsche Macan is also a five passenger vehicle that comes available in five trim packages, all turbocharged. The available trim styles are base, S, GTS, Turbo and Turbo with Performance Package. All of these trim styles come standardly equipped with all-wheel drive and a seven-speed dual-clutch. The popular Macan S comes with a turbocharged 3.0-liter V6 engine that boasts 340 horsepower and 339 lb-feet of torque. The seven-speed dual-clutch of the 2017 Macan pairs perfectly with its automatic transmission. The Macan Turbo’s 3.6-Liter turbocharged V6 engine is quick to get up to speed and handles like a sports car. The 2018 Macan has a similar setup and handles like a dream. It is just as responsive to the touch as the 2017 model, if not more. The turbo is, of course, an amazing additional feature. The 2018 Macan’s handling is like no other. The standard self-adjusting multimode shocks create a confident and poised feel that is undeniably impressive. Driving the 2017 Macan is a fun experience. Simply put, it is engaging and possibly unbeatable when it comes to similar vehicles in its class. The 2018 Macan is equally amazing. The quick-shifting transmission and fantastic isolation make this luxury SUV ridiculously fast. It rockets to 60 mph in merely 4.4 seconds. It has soft and light pedal action and brakes like a dream. If you are still stumped about which of these models will fit your needs best, we completely understand. Both of them are impressive and choosing between a dream and a fantasy can be a difficult decision! Luckily, we have both of these vehicles on the lot and encourage you to stop by and test drive either!